Welcome to Central Alberta Hay Centre, serving Central Alberta since 1983. We specialize in haying equipment of all kinds, from seeding and tillage equipment right through to cutting, baling and feeding. We have a large selection of Bale Processors, Bale Shredders, and Tub Grinders. Pasture Renovation Equipment, Pasture Aerators , and Round Balers on our new web site. 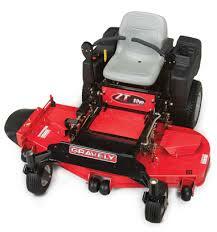 Check out our Used Equipment Page for the latest deals in quality used equipment. Central Alberta Hay Centre has a long reputation of providing high quality used machines so you won't be let down. Distributor / Dealer Coming Soon !! Our main lines of new equipment are Kuhn, Kuhn Knight, Anderson, Haybuster, Aerway, and McHale. We also carry several other lines of related short line equipment that are specialized to help you with all your haying needs. Central Alberta Hay Centre is located in Red Deer, Alberta, Canada and is a leading supplier of hay tools, new & used tub grinders, bale shredders and bale wrappers. All our used equipment is looked over by our trained technicians to ensure you hours of trouble free operation. Click Here to check out our used inventory. If you are interested in getting any additional information regarding the Products and Services offered on our web site, please Contact Us Here.